Welcome to Marriott. How was your stay? The last three days have been really jammed packed. I took Thursday and Friday off and the Emerging Runner family headed to Boston for some college tours and interviews. Boston is my home city and I love being back among the Red Sox nation. While I was there, I snagged a very nice Bruins jersey and had fun visiting friends and some familiar places. Friday morning I got up early and headed to the hotel fitness center for a treadmill run. I had the place to myself at 5:30 AM and set the speed to my normal pace. I was curious to see if my improved running experience would continue, and it certainly did. I felt strong and somewhat unchallenged so I stepped it up a few tenths and waited for higher effort to follow but it just seemed the same. I continued to increase my speed every fifth of a mile until I was running 1.5 minutes per mile faster than my starting pace. 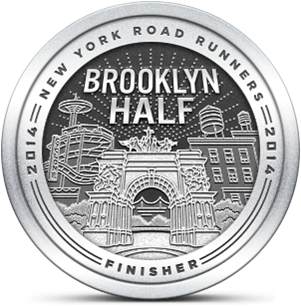 After I finished, I felt like I'd worked hard, but I also felt energized rather than exhausted. I'm pretty convinced that my change in nutrition habits has yielded a new level of performance. Following that run was a long day walking around a college campus under the hot 90° sun. Despite that, I continued to feel great. That evening, we got together with some friends that I've known since my primary school days. We all had a great time and I did my best to maintain my nutritional standards. I rarely eat red meat but the smell of barbecue was too tempting and I gave in and had a burger. I balanced that with a tofu dog that was pretty darn tasty. We all went to bed exhausted from the long day, hoping for a good night's sleep so we could get an early start home this morning. Around 12:30 AM I was awoken by the sound of an extremely loud alarm and flashing yellow lights in the hotel room. I was confused and thought it was the room alarm clock, but it was actually the hotel's fire alarm. The family woozily made their way outside the building where we watched three huge fire trucks roll up and dispatch some serious looking firefighters. 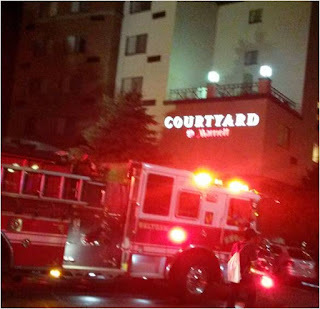 The whole thing turned out to be a false alarm, so we were let back into the hotel to finish our night's sleep. I decided to forgo a morning run so I could grab another hour of bedtime. I hoped I'd have the energy to work out later, but when we arrived home it was too hot and steamy for a neighborhood run. I decided that the shade of Stillwell Woods was the only way to go. Stillwell was quiet when I got there and I got under the canopy as quickly as I could to escape from the mid-afternoon sun. The trails felt cool, but I was accompanied by a cloud of bugs most of the time. It wasn't as bad as you'd think, but a few made their way into my mouth. Fine. Better protein than refined sugar. Stillwell usually beats me up, even under much cooler conditions, but today was different. Like Friday's treadmill run, I was strong from start to finish and I only stopped because of the heat. I'm hoping that this is the new normal. 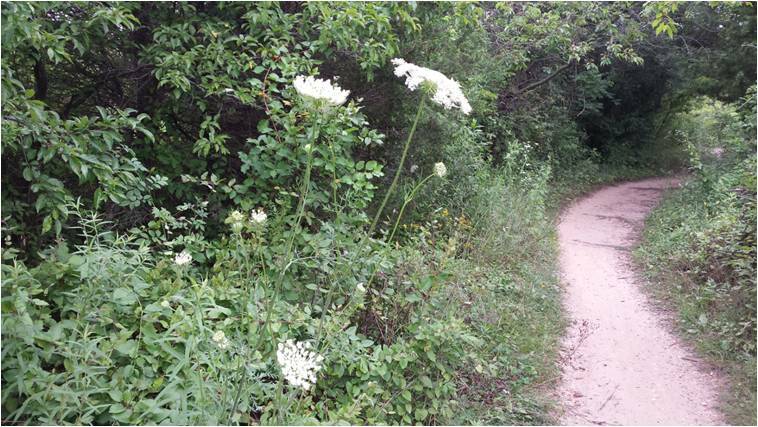 During the run, I noticed a lot of wildflowers that looked a lot like Giant Hogweed. According to the Department of Environmental Conservation, Giant Hogwood is a "Federally listed noxious weed. Its sap, in combination with moisture and sunlight, can cause severe skin and eye irritation, painful blistering, permanent scarring and blindness." There were a lot of these flowers, which raised concern because I am not a fan of irritation, blistering, scarring or blindness. Fortunately, the flowers were situated far enough from the trail that I didn't need to worry about making contact as I ran by them. I took this picture so I could look it up later. I was glad to see that the flowers at Stillwell are more likely Cow Parsnip. So Stillwell Woods seems to be a safe place to escape from the sun on 85° days. I'm going to try to get out very early tomorrow and get in more miles. If conditions are better on Sunday, I may head to the track and test out my speed. That sounds like a crazy trip! I'm excited to see your running has got better. Your new diet seems to be helping a lot. Was it hard to stop having sugar? It's not really a diet. I look at it more as a change in habit. Cutting sugar was surprisingly easy because I haven't gone cold turkey. I just have a lot less and never after a meal. I like fruit which has sugar but it doesn't contribute to glycemic load. Feeling and running better has been a big motivator.